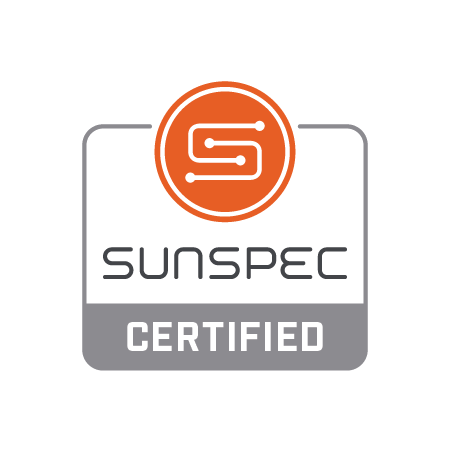 The SunSpec Certification program implements recognized testing criteria and best-in-class standards for testing and certification. It adheres to quality standards for certification programs including ANSI/NEMA SG-IPRM 1-2016 (Smart Grid Interoperability Process Reference Manual) and ISO/IEC 17025 (requirements for testing laboratories). 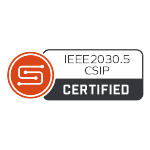 SunSpec Certified programs adhere to well defined functional criteria including IEEE 2030.5/CSIP, the SunSpec Common Smart Inverter Profile Test Procedure and the National Electrical Code® (NEC) 2017 PV module-level power control and safety, which is validated according to UL 1741 SA criteria. The programs offer diverse testing laboratory and 3rd party test tool options, with continuous improvement engineered into the process. Continuous improvement strategies include periodic updates to conformance criteria, certificate maintenance and retesting, and open source testing tools that are in constant development. California Rule 21 requires that Distributed Energy Resources in Investor Owned Utility regions must utilize the IEEE 2030.5-2018 networking standard in the manner described in the Common Smart Inverter Profile (CSIP). The test specification for this certification is the SunSpec Common Smart Inverter Profile Conformance Test Procedure. NEC 2017 requires PV modules to be able to be individually de-energized within 30 seconds of an emergency event. 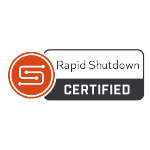 The certification verifies the successful implementation of the SunSpec Communication Signal for Rapid Shutdown Testing Specification, resulting in an easy-to-use, multi-vendor communication solution that supports this function. SunSpec Modbus is an open standard, referenced in IEEE 1547-2018, that enables interoperability amongst DER system components, including power conversion devices (inverters), batteries, meters and other sub-system components.